eBikes - power-assisted bicycles - have been steadily growing in usage over the last decade; first as heavy, low quality commuter bikes. However, more recently they are making in-roads into the higher end consumer market - urban, mountain bike and road - and in some markets are already beginning to outnumber non-ebikes. It was a foregone conclusion that they would enter competitive cycling, and the first UCI eMTB world championships will be held this year at Mont-Ste-Anne - we posited that a eRoad Worlds was coming as part of our April 1st stories, which probably is only wrong in its timing, not the actuality, and once again proves that fact is always stranger than fiction. Given the ongoing raging debate about whether ebikes are actually bicycles or motorized vehicles, it is not surprising that two federations are claiming ownership of the category. 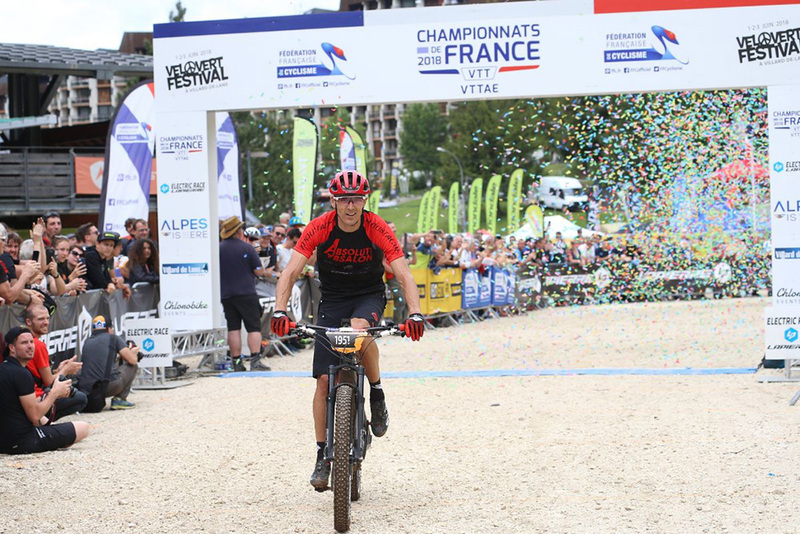 The UCI put out a strongly worded statement on April 5th claiming ownership of the category, after the International Motorcycling Federation (Fédération Internationale de Motocyclisme - FIM) announced that an ebike Enduro World Cup would be held in France on June 1-2 under its auspices. In addition to claiming authority over the category, the UCI threatened 'disciplinary measures' against UCI-licenced riders competing in FIM-sanctioned events. With the motorcycle industry facing a long documented decline, it is not surprising that it would be interested in the growing ebike category. FIM, on its part, points to a long history of power-assisted machines that have been considered as motorcycle-based, and is allowing more powerful ebikes under their rules. Since FIM is not part of the IOC, the only body to potentially have jurisdiction over the dispute is CAS - the Court of Arbitration for Sport. This battle is likely to get nastier before it is resolved (if ever). E-mountain bike is firmly entrenched in the cycling family: numerous well-known bicycle brands produce bikes used by enthusiasts of this speciality, and several National Federations affiliated to the UCI have already organised National Championships for the discipline, won by specialists of mountain bike cross-country Olympic (XCO), such as France's double Olympic Champion and five-time UCI World Champion Julien Absalon. In the light of the strong development of the discipline, the UCI was very surprised and disappointed by the announcement made by the International Motorcycling Federation (Fédération Internationale de Motocyclisme - FIM) concerning the organisation of an FIM E-Bike Enduro World Cup in France on 1-2 June, with no regulatory basis. The UCI Regulation, approved by its Management Committee in September 2018, stipulates that an E-mountain bike's electric motor must not exceed 250 watts and that pedalling assistance is permitted up to a maximum speed of 25km/h. This definition corresponds with the applicable European regulations (EN-15194), which gives an unequivocal definition of a "pedal cycle with pedal assistance" (cycle equipped with an auxiliary electric motor having a maximum continuous rated power of less than or equal to 250 W, where the output of the motor is cut off when the cyclist stops pedalling and is otherwise progressively reduced and finally cut off before the vehicle speed reaches 25 km/h). The UCI wishes to announce that events in domains under its exclusive jurisdiction that are registered on the FIM calendar or those of its member Federations will be considered "banned events" in line with its Regulation. Consequently, any UCI-licensed rider participating in one of these events would risk disciplinary measures. Commenting on this subject, the UCI President David Lappartient declared: "I am delighted by the boom currently enjoyed by E-mountain bike, a specialty that enables a new public to take up mountain biking - a demanding discipline - and which is also appreciated by high-level riders. The UCI means to develop this activity which, as with other forms of cycling, comes under its exclusive jurisdiction." In a statement announcing the E-Bike Enduro World Cup, FIM President Jorge Viegas said: "I am particularly proud to announce the launch of our first E-Bike competition. Power assisted bicycles and electric powered cycles are not recent products and have long been part of the history of the FIM, as the vintage Indian motorcycle on display in our headquarters confirms. In fact the early motorcycles were much based on a bicycle frame with the addition of an engine, so the story has really returned back to the beginning of our evolution. We are convinced that E-Bike competitions have great potential and will allow young riders to participate in exciting new races. Also, we will soon announce another E-Bike competition to take place later this year."